Undicisettembre continues its effort to preserve the memories of the tragic events of 9/11. 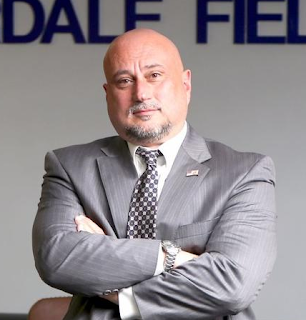 Today we offer our readers the account of AFT agent Peter Forcelli who used to work at 6 World Trade Center and that after the plane crashes became one of the first rescuers on the scene. We would like to thank Peter Forcelli for his kindness and willingness to help. Undicisettembre: Can you give us a general account of what happened to you on 9/11? Peter Forcelli: That morning I was driving to work just like any other day and two things happened on the drive. At the time I lived in a city called Yonkers, New York, which had a lot of Italians. While I was driving my wife called me on the phone to tell me she was watching the news and a plane had hit the World Trade Center, I continued the drive because I was heading down there anyway but in my mind I thought a small plane had hit the World Trade Center. I work for ATF and our offices were at 6 World Trade Center. Shortly after my wife called me, also my boss called my on my cellphone and said "Hey, you need to get down here quick because a plane hit the World Trade Center." I continued to drive and I put the lights and the sirenes, I got there in about half an hour and for the first time ever I found a parking space very quickly behind 7 World Trade Center. I got out and walked towards the scene itself and the first thing I saw when I was walking towards Vesey Street was a plane engine. I looked up at the building and you could see a huge, huge gash and it was very clear that this was a big plane, like a commercial plane and the smoke was coming out of that hole. I was looking around, there were a lot of police officers, a lot of people from other agencies. It was overwhelming. I had been a police office in New York City for fifteen years before 9/11 and I had just started my job at ATF three months earlier, so I had a lot of experience in law enforcement and the scene was overwhelming, like you didn't know where to start. I saw a police officer named John I used to work with and we started to get people away, towards north, because we didn't know what else to do. 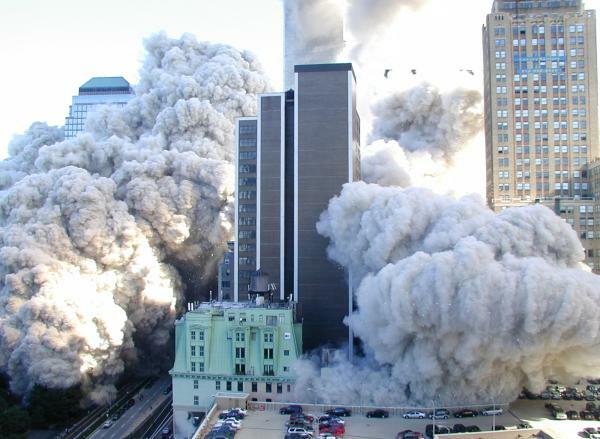 The rescue workers were still coming and at that point no one thought that the towers would fall. Occasionally I looked up and saw people trapped and I worried about them, I knew I couldn't get to them and in my mind I though that maybe they could rescue them by helicopter because in 1993 when the World Trade Center was bombed I remember that the helicopters were able to get to the building. So I worried more about people that were down below to get them away, get them safely away from the area and let the firemen and police continue with the rescue. After fifteen or twenty minutes that I was down there my supervisor, which in ATF is called the Assistant Special Agent in charge, grabbed me and said "Hey, listen, we haven't accounted for all our people so can you go into the side of the Trade Center and find our people and have them meet at 90 Church Street?" Myself and another agent called Jason went down there and began to see if we could find our people. At a point we stopped; across the street there was a store called Century 21, a big department store that sells clothes. Me and Jason stopped for a second in front of Century 21 to catch our breath and while we were standing right across the street from the south tower I saw a colleague that I used to work with, a detective named Steven Martinez, and he was crying because his wife was in the building and he couldn't account for her. He had no idea where she was and he was worried, they weren't letting anybody in and he wasn't in uniform. So he was trying to find her, I felt bad and I was trying to console him and at the same time I looked across the street and I saw six police officers I used to work with walk into the south tower. One of them looked across the street at me and I was wearing an ATF windbreaker, he grabbed his shirt, shook it and looked at me like inquiring "Why are you wearing that?" because he didn't know I had left NYPD to go and join ATF. I just had to throw my hands up like "Hey, what are you going to do?" because obviosly I didn't have time to have a conversation. I watched him and the other guys walk into the building and all of a sudden I started to hear this rumbling that sounded like a subway car. I was fixated with these guys who entered the building and Jason grabbed me by my shirt and just screamed "Run!" I looked up and the South Tower was falling, I run north and while I was running I got hit right at the center of my back with something the size of a golf ball. I jumped under a car, as far as under the car as I could get, because I'm not that skinny, it felt like a minute even if it was more like seconds and things were hitting the car and I came to the realization "I'm going to die under this car, I can't stay here." I got up and by this time the dust cloud had completely enveloped the area so I couldn't see anything and I was trying to go north. I heard a voice saying "Hey, over here, come over here." and I went into a building, there were many people there just telling people in the street to come inside because I guess they realized that people couldn't see or breath in this cloud. The chief of NYPD's detectives at the time was a detective whose name was William Allee, he was not a nice man, a very stern guy but he had a lot of experience, he had seen a lot of things in his career so I respected him to that. When I came in I was covered in dust and a was coughing horribly because the dust was so, so thick, the dust was in my eyes, I rinsed out my eyes because a gentleman brought me to a water fountain and William Allee who was hanging around said "Ok, what's going on?" he was annoyed because he didn't know what had just happened. I looked at him and said "The South Tower just fell." he was a man who had seen thirty years of police, I would imagine, he had seen murders and horrible things in his career, he looked at me and his face went blank. The image of disbilief in his face is etched in my brain. He didn't even go out to see it, you couldn't see it because it looked like nightime had fallen because it was so dark outside. We waited for the dust to clear and at that point the North Tower was still standing, we went back out to see if we could find anybody. It wasn't perfectly clear obviously. It was weird because when we went out there we couldn't find anybody that was hurt, they were either gone from the scene or dead. By this time most of the people from the North Tower had left. I was still out there trying to figure "Let me see what I can do". Before the South Tower fell occasionaly you would see someone jump from the building and it was something very disturbing to see, depending on wether they hit the ground or the overhang the sound would be very different: when they would hit the pavement it almost sounded like dropping an egg, when they would hit the overhang it would sound like a thouderous noise. When you would see a body fall you would brace yourself almost as if somebody would punch you because it was such a troblesome sight you would almost recoil as if you were to take a punch, first for the fear of watching someone fall to their death, second wondering "Oh my God what sound is it going to make?" When the North Tower was still standing people who were out were either cops or firemen, so not people who necessarly needed rescue, other than maybe water to wash the dust out of their eyes. As the dust began to settle more you would see more people jumping from the North Tower and they were jumping more frequently than the South Tower, and I remember thinking to myself "Why are these people jumping? Is it because they lost all their hope, or is it the heat? What is going on in their minds?" Then we heard again the same sound we heard when the South Tower came down and the North Tower came crumbling down. I run into another store where were many other people hiding from the dust cloud and I hid as well. I once again went out to see if we could find someone who needed help and it was the same as the previous time, there was nobody injured. Short time later someone told me they heard on the radio that one of my colleagues who was pregnant was trapped in her car, her name is Kara. So me an another agent, I think it was Bob Schmitt, went and found Kara and had to carry her. She wasn't injured, but she was in her car and she was overwhelmed, we had to carry her to the Lower Manhattan Hospital, which is not that far. When we got there, outside of the hospital there were gurneys, doctors and nurses and there were no patients. I was expecting seeing people being treated and there was nobody. It was overwhelming emotionally, there were hospital professionals waiting for their patients and it was apparent to me at this point that people either died or run away relatively uninjured. It made you feel very bad because it made you realize how many people were trapped in those buildings and couldn't get out. We went back to the scene to try to see who we could help, there were firemen and policemen missing, still trying to make sense of what was going on. People were saying there were more hijacked planes. I remember seeing jetfighters flying around Manhattan protecting the island. Some time later 7 World Trade Center collapsed. We stayed there two days straight trying to see if we could find policemen and firemen who were missing. We dug around what we could with our bare hands because there was no equipment at that point, we didn't have respiratory equipment because nobody expected this to happen. We didn't really rescue anybody for the first two days, the third day I went home and it was very emotional. When the towers collapsed they destroyed the cells that made the cellphones work in lower Manhattan, so my wife didn't even know that I was still alive. When I got home three days later my wife had thought that I had perished when the buildings collapsed, she sent her mother to go get the kids from school and they were expecting to see a police chaplain to come and knock on the door to tell them that I was gone. My kids where on their way to go to school three days later and I happened to pull up that morning and it was very emotional, even the guy from the postal truck came and gave me a hug, I don't know the guy I had never met him before but he saw me getting out of the car in my uniform and covered in dust and he knew where I was from. He gave me a big hug and I had to push him off so I could get to my wife and my kids and hug them. Undicisettembre: Before we go into the details, can you explain us what it ATF? I'm not familiar with this agency. Peter Forcelli: It's part of the Department of Justice and it enforces the alcohol, the tabacco and the firearms laws of the United States, we do the explosives laws as well even if they don't have an inital for that. My agency started when alcohol was prohibited, it started when people were making alcohol illegally. It's kind of like FBI but our jurisdiction is very limited to alcohol, tabacco and firearms related issues. Undicisettembre: How long have you been to Ground Zero after 9/11? Peter Forcelli: Three straight days the entire time, I just took a nap when I could. After that four days a week, if not five days a week, till November. After that they sent us to work at a landfill at Staten Island which was a nauseating work. From Ground Zero they were sending debris to Staten Island where they used a machinery to level it out and we had to rake through the machinery to look for body parts, jewelry or anything that you could give back to a family member to identify people. It was nauseating because they would pick the smaller pieces and put them on convey belts and when the convery belt went by you you had a button to push if you saw something that looked like a body part or a piece of jewlry or a piece of identification. Watching these things go by you was difficult for the eyes, but it was very important. I did that till March 2002. Undicisettembre: What happened to you, or the team you worked with, at Ground Zero from 9/11 till when you left in November? Peter Forcelli: We did the best that we could, our spirit was not happy because we had lost so many colleagues but it felt as if you had to be there. I remember one day towards the end of my time in Staten Island I was standing in the landfill and there was a policeman with a uniform of North Carolina, and I said "Hey man, what are you doing down here? We are in March now." His response was "My kid was born on September 12th, and I wanted to come down here as an American, I felt the need to help." So this man six months later felt compelled to come and help and it was moving to me. It was the same for us, at Ground Zero we would dig for many many hours and you were exahusted. When you would drive north on the West Side Highway there was an area where they wouldn't let anybody pass unless you were in law enforcement or a medical professional or a military, and there were hundreds of people standing there applauding. There was a great sense of appriciation for those who were working down there. I had been in law enforcement at that time for fifteen years and generally in New York you didn't feel that sense of appriciation, nodoby thanked you for doing your job. That gave tremendous motivation to go down there and do it. I recently found out I have lung cancer and I'm pretty sure it came from the days I spent down there, but even now I don't have any regrets for having gone down there. 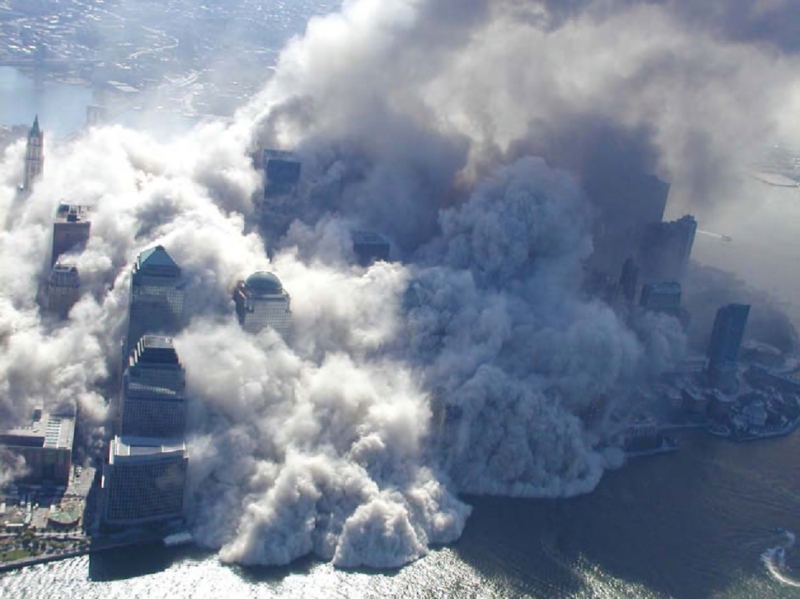 Undicisettembre: How does 9/11 effect your everyday life? Peter Forcelli: I didn't know until last September that I had cancer, I felt healthy but still it's something you remember, it's not something you can ever forget and you have nightmares occasionally. I mean, I love my job so it helped me to get passed it. I don't work in New York anymore partially because of 9/11. I worked in New York till 2007 and driving down to lower Manhattan was an emotional thing and I had to go there all the time; there were times where I would drive down to my work and it was difficult because it would bring back the memories of that day. Every once in a while people call me to tell me that some of my friends died because of 9/11 and it brings that day back. So you try to forget the horrible things and remember the good things that happened like how people were getting together and the sense of urgency to help one another, but you can never forget an event of such a huge magnitude. Undicisettembre: What do you think of conspiracy theories that say that 9/11 was an inside job? Peter Forcelli: I don't believe it's possible, and I tell you why, and a lot of people don't know this: the headquarters of CIA were in one of the buildings that were destroyed. And I know for a fact that they were looking for many of their documents, there were areas where even if I was a law enforcer I couldn't go and search, they wouldn't let you near there. If it was an inside job why wouldn't allow you to do that? They lost many things that were important to them. I don't see it possible that any government would do that to its own people, and I am not a big fan of many things that our government does. Undicisettembre: How safe do you think the country is today? Even considering the attacks that happened after 9/11, like the Boston bombing or the New Jersey pipe bombing? Peter Forcelli: I think we do the best we can and it breaks my heart to see what's happening in countries in Europe or Africa, there are people who don't like the west. There are folks who want people to believe in what they believe and nothing else. They don't like us living in freedom and being able to listen to music and things like that. They only have to get it right occasionally, while law enforcement have to get it right every time to prevent these things and we can't. I think we are going to see terrorism happening for quite some time. Undicisettembre: Do you think the country is still living in fear or has it regained it's standing in the world? Peter Forcelli: A little bit of both. I think most Americans just live their lifes, a lot of Americans have forgotten about 9/11 which sometimes is a good thing, not to be in fear, but sometimes it's bad because if you don't pay attetion and you are not watching is very easy to become a victim. Do I think that everything the United States does is good? Well, no of course. When I see things happening in Israel and those zones I think people should try to get along and understand one another, but again there are certain cultures out there that don't belive we can listen to music or that women should drive or get an education and there are folks who don't like we are close allies with Israel. Sometimes I think the United States should mind his business and focus on our own politics, that's why I am not a politician.